I have a card for today's collaborative blog hop between My Sweet Petunia and Alexandra Renke. Oh products I have received would be hoarded forever except I had an assignment to complete - they are that nice! The stamps are of the highest quality photo-polymer and the dies cut like butter. The paper is a cardmaker's dream. It is beautifully patterned, heavy weight and card fronts can be made from it without a cracked fold. Seriously, the paper was so yummy that I had a very difficult time cutting it. The picture does not do the papers justice at all. I used the star border stamp to make strips of paper and cut three sheets of 12 x 12" paper into triangles to make the card front. I then die cut the sentiment out from the You Are Sweet die which despite its delicacy - cut so very easily. Here is a close up of the paper and stamping. Please excuse it. 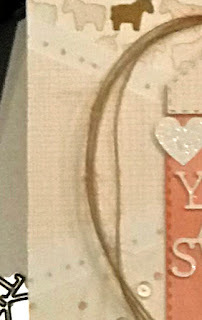 Since this is a blog hop, there are prizes! 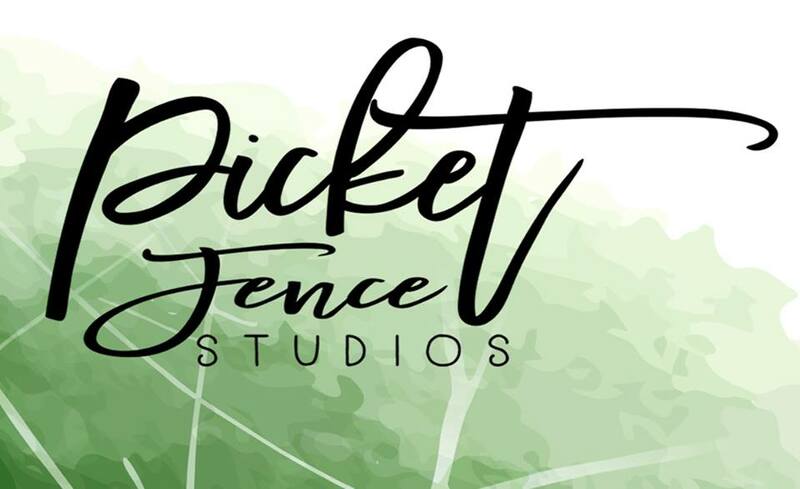 Please leave a comment on each blog you visit. Two winners will be selected from all the blogs. 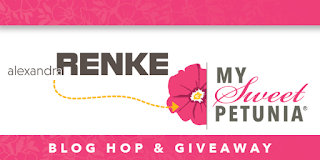 One winner will receive a $50 gift certificate to the My Sweet Petunia store and the other will win a $50 gift certificate to www.alexandra-renke.com!!! Comments need to be entered by 11:59PM, Sunday, June 17th. The winners will be announced on Tuesday, June 19th on the My Sweet Petunia and Alexandra Renke's blogs. Have fun hoping. Next on the list is Judith Versluis whom I am sure has something beautiful to share with you!! Thank you for stopping by my blog! Please leave a comment below to have a chance to win!!! Have fun hopping! 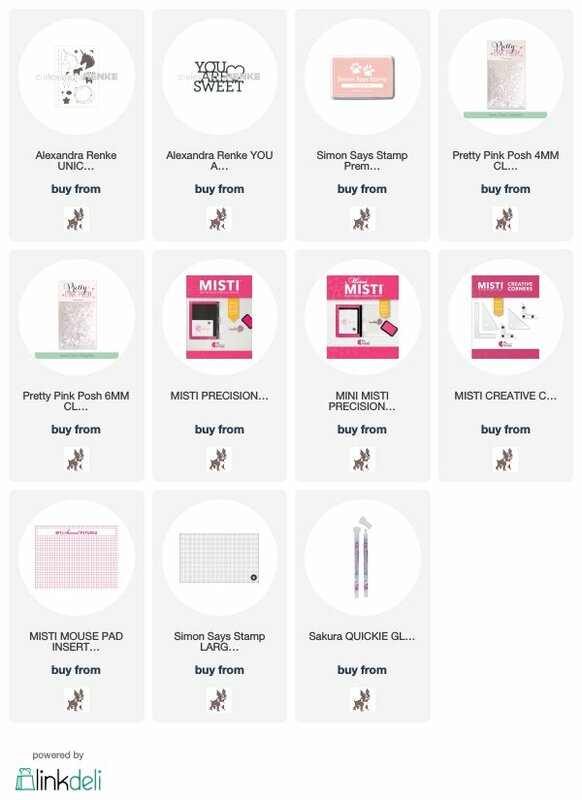 List of Renke Supplies Used Available at Simon Says Stamp and Other Supplies: Affiliate links are being used at no extra cost to you! Love that delicate die cut ... adorable card. So lovely this is ... love her stuff! Adorable card. I love the unicorn paper. I can see why anyone would hoard this paper, it is beautiful. I loved your card. I love the “sweet” die cut. It’s gorgeous! 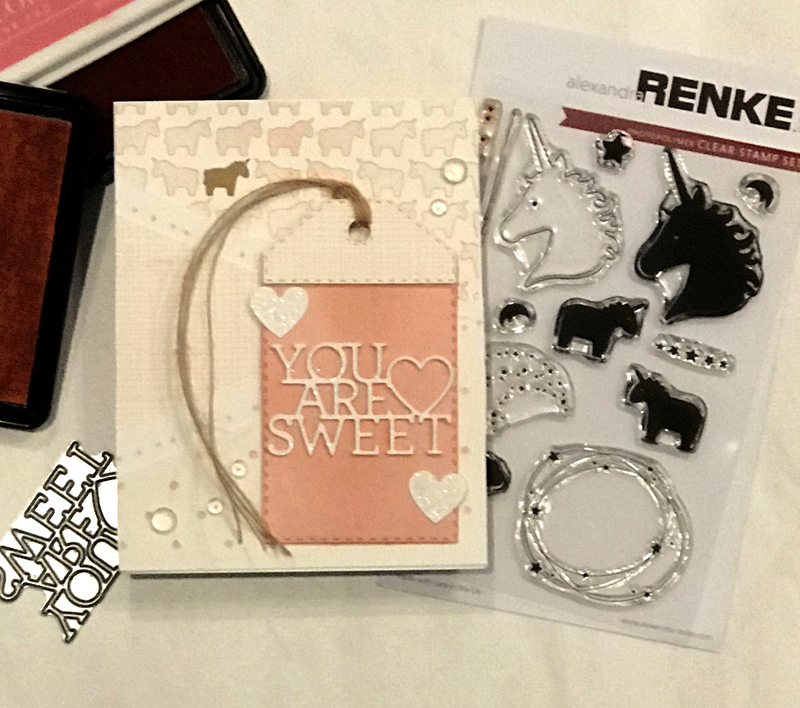 So sweet ... and love that unicorn stamp set! Beautiful card and I love love the paper. So pretty and unique. Love the sparkle on your card too. Beautiful job. Lovely card, very unique products. I loved how you put these together! That’s a fantastic card design ! Such a cute card! Great design and lovely use of stamps! Beautiful details! Love the unicorn stamp set! Wonderful card! Such a gorgeous color combination and lovely design. What a great idea to use the stamps and create that lovely background texture. It all combines to create such an interesting design - beautiful! BEAUTIFUL card! Wonderful color combination! What a sweet card! Love the tag and those papers! Une très belle mise en page pour cette carte aux coloris subtils ! Really lovely design. I love the softness.